I find it funny that so many uber nationalistic individuals like to condemn those who either opt to leave or would like to open up the borders as being “unpatriotic”. I protested the protesters this past weekend because honestly the issues never boil down to migrants. It usually boils down to really horrible domestic policies. For example, people get upset about immigrants getting on welfare. Aside from the illegal immigrant population in the US putting MORE into the system than what they take out, it would seem the issue is then the welfare and social programs… not the fact that someone is moving here from there. People are upset about drug cartels “taking over” the United States. Assuming for a moment they aren’t already in the United States as the government’s chummy bed-fellow, it would seem the issue is the defunct and futile prohibition laws surrounding drugs… not the fact that brown people want to relocate. I had a woman tell me to leave if I didn’t embrace the “flag”. I said, “Thank you! Put your money where your mouth is because leaving ain’t free either!” Unless, of course, she’s suggesting I illegally emigrate while she beats her chest over all the illegal immigrants. I really don’t understand why people shame others for coming and going as they please. I understand that coming from North Koreans, but not from the West. There is so much talk about “freedom” and “liberty”, you would think that would include moving where your best interests are met. Well, someone must’ve told Walgreens what I’ve been hearing for the past five years: “If you don’t like, LEAVE!” because that is exactly what they are doing! Last week, I wrote about expropriation becoming the norm, especially in the Eurozone. But where there is economic oppression, there are economic refugees. And Walgreens is just one of many. Walgreens, in its brilliance, is merging with a Swiss drug store chain, Alliance Boots. In so doing, it has managed to avoid a considerable amount of tax obligation in the US and in its former “home state” of Illinois. It has moved its headquarters to Switzerland which overall, will reduce their tax burden as a company. I don’t support any sort of welfare, but tax credits are not welfare. It is someone or a business keeping their own money that they earned. So it’s okay that senior citizens and indigents benefit from taxpayer dollars, but when proprietors accept welfare as payment, they are suddenly thieves? How else is welfare going to work if private companies don’t accept it as payment? Imagine what would become of the elderly and poor if no one accepted Medicare/Medicaid nor EBT/SWIFT cards. They would be utterly pointless and ineffective in providing that very services they purport to give! I’m not arguing in their favor by any means, but I find it rather ludicrous that anyone would complain that a private company would accept them as legitimate forms of payment while insisting that these programs remain operational. It won’t COST the US taxpayers any more now than it did before because it has nothing to do with where Walgreen’s is headquartered. It has to do with how large the roster is of people who use and enlist for those programs and how often they make a claim on them. That it pays out to a foreign company or a domestic one is of no consequence one way or another. Walgreens will maintain its locations here in the US thus still providing US jobs. The issue is that Walgreens doesn’t want to pay more in taxes than it absolutely must (any more than the average individual does), and the US has made itself rather economically hostile toward businesses. If the US wants to keep businesses here, then it needs to optimize its tax policies accordingly. The success rate of financially incentivizing someone into doing something is greater than that of shaming someone into doing something. I know I’m fine with people calling me a traitor if I know in the end, I get to keep more of my money. Call me what you want, just leave my money alone! Speaking of “pharmaceuticals” and tax issues, check out the Catch-22 situation with these folks here: Recently pot was legalized in the state of Colorado. There are licensed and legitimate pot dispensaries and proprietors in the state of Colorado. Well, evidently it’s a real hassle to find a bank that will do business with them since there are still federal statutes that say pot is illegal. So, instead, these dispensaries deal in cash. Well, evidently, you cannot pay the IRS in cash… as it is not an acceptable form of payment! Do you know what the IRS suggested they do to fix this problem? LAUNDER THE MONEY! They suggest that they channel their tax money through another business that has a bank account so they can wire the money. Yes, in addition to NOT accepting FRNs without penalties, the IRS suggested they launder the money. I don’t know what their other legal options are, if any. But if they are being asked to “legally launder money”, some options must exist. Commerce is so punitive and the tax code is so bloated it’s no wonder companies are leaving the United States. As consumers, we see and feel the effects of these policies as well. Our cost of living goes up unnecessarily, we need to plan weeks in advance to purchase certain things because the “legal” process to obtain them takes THAT long. If companies can go offshore, so can individuals. Obviously there are benefits to moving wealth and even residency offshore, or companies like Walgreens wouldn’t do it. The path is paved and well-traveled. It’s not just for wealthy conglomerates like Walgreens though. It could be for someone like you too! 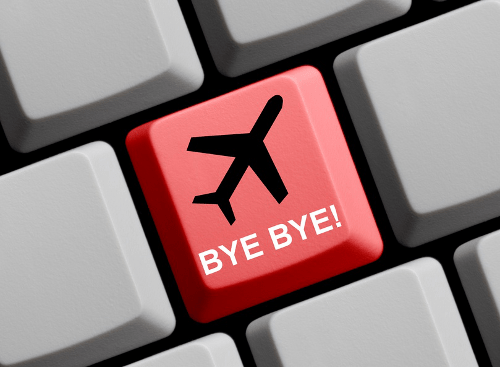 Expatriation: If You Don’t Like It, Leave! Italy Steals 20% of All Incoming Bank Wires – Opportunity? You are dead wrong. Chicago, as a sanctuary city provides so much money to illegals it is criminal. Cash job, link card, section 8, free medical and free education. The in – state tuition is particularly maddening. Brown family of 4 with 2 school age children costs35k. The criminal act is the taxation, not the giving. If it was a private foundation that gave the money, that would be totally acceptable. It’s that people are robbed first and then the money is spent on things they don’t wish to purchase. The income tax(legally)applies to corporations, not to individuals in the course of business, or pleasure. See excerpts from the book “THE LAW THAT NEVER WAS”. This is copies of state, and federal archives, proving The income tax was never properly ratified in the first place! There are plenty of laws that are not really laws that have become accepted as common practice due to the threat of violence. For example, I don’t technically need a driver license if I’m not using my car for commerce. If I’m merely traveling, none of the local traffic ordinances apply to me. However, not many can make this full case nor can the afford the time it takes to argue this point with the police or the courts, nor do they wish to put their lives in danger for the purposes of being right and getting out of an extortion racket of a couple hundred dollars, so they go along with it. But according to the definition of “driving” in the Black’s Law dictionary, it’s only for people engaging in commerce not commuting or traveling for personal errands.